One terrible day, Brenda Novak caught her day-care provider drugging her three young children with cough syrup and Tylenol to get them to sleep while she was away, working as a loan officer. Novak decided then and there that she needed to find a way to work from home. Writing fiction was the answer, and Novak soon proved herself a novelist with whom readers could really connect. A New York Times bestseller, she has written more than 50 books of romantic suspense or romance, winning or placing in contests such as the National Reader’s Choice, the Bookseller’s Best, the Write Touch, the Award of Excellence, and the Beacon Award for Published Authors. 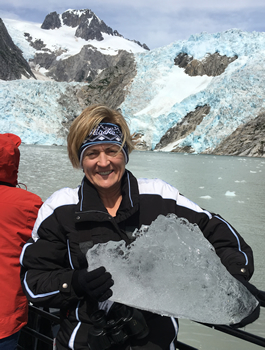 Through it all, Novak has used her own life and her own experiences as a wife, mother, and friend to fuel her characters. Novak’s new thriller series revolves around Dr. Evelyn Talbot, a psychiatrist who has dedicated her life to solving the mysteries of the psychopathic mind. Evelyn is the force behind Hanover House, a maximum-security facility in Hilltop, Alaska, that imprisons the world’s worst serial killers. 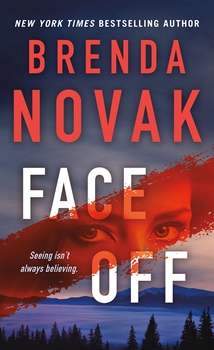 In her latest release in the series, FACE OFF, which is winning rave reviews for its suspense, Evelyn realizes, after a series of murders come to light, that the high-school boyfriend who tortured and nearly killed her, Jasper Moore, is closing in on her in Alaska. Sound far afield from her earlier fiction? Well, the characters are multi-dimensional, the relationships engrossing—and moreover, any suggestion that Novak didn’t draw from her own life in writing FACE OFF as much as she did with her other novels is dead wrong. In FACE OFF, Alaska functions almost like another character, with its killer storms and forbidding terrain. Dr. Evelyn Talbot isn’t through either. Blindspot, the next book in the series, will be out in the summer of 2019. 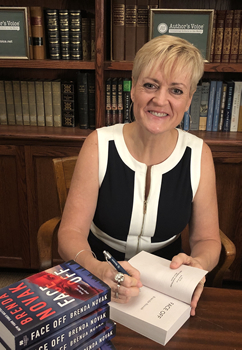 Author Brenda Novak is a New York Times & USA Today bestselling author with more than seven and a half million books in print, translated into twenty different languages. A six-time Rita nominee, she has won many awards, including the National Reader’s Choice, the Bookseller’s Best, the Book Buyer’s Best, the Daphne, and the Silver Bullet. She also runs Brenda Novak for the Cure, a charity to raise money for diabetes research (her youngest son has this disease). To date, she’s raised $2.6 million. For more about Brenda, please visit her website.